Before becoming an elementary school teacher, I was an art educator at the Guggenheim Museum in New York City. My goal was to make modern art accessible to children from the far reaches of the five boroughs. Although many students lived just a short subway ride from our country’s great cultural institutions, this was often their first visit to a museum. Their exuberance was contagious: sheer delight when confronted by a “mixed up” portrait by Pablo Picasso; fascination when encountering a taxidermied goat wrapped in a rubber tire by Robert Rauschenberg; and awe when they realized that the floors, ceilings, and walls in Frank Lloyd Wright’s spiraling building were all gently sloped. Children entered the museum with none of the hang-ups that hinder adults when we view art, but instead were open and willing to experience the art with all their senses. They asked questions, noticed details, posited theories, and engaged in deep analysis without hesitation. When presented with additional information about an artist or medium, they drew thoughtful conclusions about eminent works of sculpture, painting, and photography. What a wonderful way to approach new information—with joy, curiosity, and a desire to know more. When I became a classroom teacher, one of the challenges I encountered was finding innovative ways to engage all students in close, meaningful reading. How could I ignite the same wonder and delight for literature that my young visitors had expressed in the museum? Then I encountered David Coleman’s influential paper, “Guiding Principles for the Arts: Grades K–12,” in which he notes: “The Core Standards in Literacy ... describe reading as the product of sustained observation and attention to detail. Particularly when encountering complex art, or reading the level of complex text students will need to be ready for college and careers, students will need to learn to re-examine and observe closely.” I realized that analyzing great literature is just like examining great art. With the introduction of the Common Core State Standards for English Language Arts, students are tasked to focus on details, identify and analyze themes, and cite evidence to support their claims. And what better way to gain experience with these vital skills than by observing, discussing, and writing about great works of visual art—an art form immediately accessible and engaging to most learners, despite their reading level? ELA instruction grounded in careful observation and reexamination of texts has been proven to have a profound impact on all learners. Students who analyze painting, sculpture, photography, or architecture have greater opportunities to hone their observation, writing, speaking, and listening skills—all without the hurdle of decoding written text. Through repeated exposure and rigorous questioning, students can “marinate” in the selected works, deepening their understanding, identifying new details, making connections to written text and other artwork, and expanding their knowledge of the world. In the museum, the students’ delight initiated our discussions, but my role as docent was essential in propelling the conversation forward, guiding students to look more closely and gain knowledge through a series of probing questions. Similarly, we can teach students to approach new and challenging texts through a flexible but predictable set of Content Framing Questions. As they gain practice with this set of structured questions, students internalize this habit of mind, awarding them the confidence to approach more complex texts and broaden their understanding of the world. The following five Content Framing Questions are typically applied to text but may have been modified to address visual art by replacing the word text with work of art. Let’s consider how these questions might apply to a specific work of art. Wonder: What do you notice and wonder about this work of art? When sharing an artwork with your class, provide ample time for students to observe the work and generate their own questions. Encourage silent observation for up to two minutes, depending on the age of your students. While it may feel uncomfortable at first, over time students will come to appreciate the value of extended observation. Remind them to allow their eye to travel to all corners of the frame, to notice the overall composition, colors, shapes, and lines as well as the specific details. Consider what you saw when you first glanced at this iconic image. Now, take a closer look at the enlarged version below. Give yourself at least thirty seconds to let your eyes roam the picture. Take in the details as well as the whole. Notice how your eye travels around the image. Upon closer investigation, what do you see? By now you’ve probably noticed the two slender boats with their humble crews, hunched beneath the massive waves. Did you distinguish the mountain in the background? Where did your eye begin and end its journey through the image? What did you notice about the scale of the boats and waves? This kind of observation and open-ended wondering piques students’ interest and serves as the springboard for further inquiry. Organize: What is happening in this work of art? How are characters related to one another? What do we recognize about the location? Who are the people in these boats? What do their poses tell us about them? What do you notice about the size and placement of shapes, objects, and figures in the image? What colors has the artist chosen to use? Are they cool or warm colors? What compositional choices has the artist made? Over time, as students gain new vocabulary and become accustomed to identifying and analyzing distinct elements, classroom writing and discourse become richer and more intuitive. Reveal: What does a deeper exploration of [a specific artistic element or technique] reveal about this work of art? In this stage of inquiry, students dig beneath the surface to consider the creative choices artists make, and how these choices impact the overall work. Just as they might examine author craft, scrutinize metaphors, or study the word choice in a single passage, students concentrate on the elements of art, or the tools and techniques artists use to convey their message. Line, color, shape, form, texture, value, and space are visual elements which remain constant across all cultures, media, and time periods. Teachers continue to serve as the docent here, introducing a limited set of art vocabulary to help sharpen the focus on certain elements or techniques. How do the artist’s decisions help us understand the main subject of the work? How might other choices have impacted our perception? What does this tell us about how artists make art? Distill: What is the essential meaning of this work of art? How does the artist hold your attention? What is important about this work? Why do you think this work should or should not be included in this lesson? Students might engage in a Socratic Seminar to argue their stance on these or other provocative questions. This is a good time to introduce contextual information, helping students to connect the image to prior knowledge. For example, students would learn that the title of the above image is The Great Wave off Kanagawa, and that the artist, Katsushika Hokusai, lived about two hundred years ago in Japan. This image is one in a series of woodblock prints titled Thirty-Six Views of Mount Fuji; this knowledge helps identify the mountain in the background. As an extension, students might research Japanese woodblock printing, a process in which each color of ink is applied by a separate woodblock. How might this new information affect students’ understanding of the artist’s vision or process? Know: How does this work of art build my knowledge of [specific topic]? Finally, students take ownership of their knowledge and place their newfound expertise alongside what they already know. 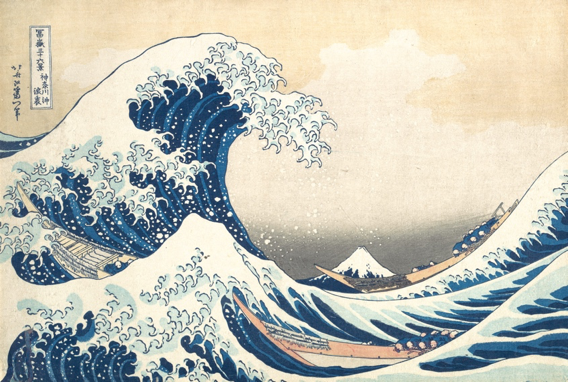 Students might reflect on how this image conveys the power of natural forces; why it has endured the test of time; or how it connects to their study of the ocean, Japanese culture, or the universal struggle between man and nature. In his paper, Coleman writes, “When there is an explicit source for several pieces of art, such as a passage in the Bible, students can explore what different artists chose to include and emphasize. ... Once again, it is powerful to trace an artist’s interpretation to evidence from the source.” To that end, students may view another image or read a related text to consider the portrayal of similar concepts in a similar or different medium. 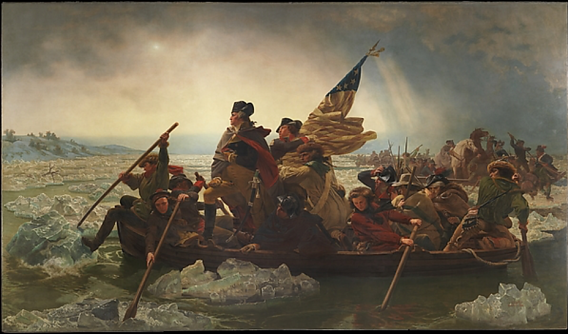 For example, students might write in their journals about how Hokusai’s depiction of the ocean differs from another familiar image, Washington Crossing the Delaware, painted by German-born Emanuel Leutze only twenty years later in the United States. What similarities and differences do you see between these two images? How does each artist depict the relationship between people and nature? What techniques are the same or different? What messages or themes emerge? Can you think of any great literature that addresses these themes as well? Throughout this process of questioning, observing, and discovering, students are required to draw evidence directly from the artwork, supporting any claims and opinions with the image itself—just as they are always reminded to “return to the text” for evidence. I loved my work at the Guggenheim and will always be inspired by students’ eagerness to experience art. But looking back at our joyful yet meandering discussions, I wish I’d had the powerful structure of the Content Framing Questions to shepherd my young visitors to an even deeper and clearer understanding museum’s collection. I truly believe that the simplicity and predictability of the Content Framing Questions allow any teacher to bring the museum to their classroom. As students internalize this process of analyzing art, they not only gain powerful, transferable skills, but they also learn the language of art, giving them the tools to enter any museum with confidence and appreciation. More broadly, they acquire another kind of vocabulary—a familiarity with and knowledge of dozens of iconic works—that provides a powerful base of cultural capital as they enter our global society. I invite you to choose a work of art and start exploring! Learn more ways to integrate art into your classroom by exploring the Great Minds resource The Art of Wit & Wisdom. 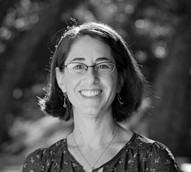 Rachel Zindler has worked as a museum educator, elementary and middle school teacher, instructional coach, and curriculum designer. She taught in both general education and inclusive classrooms for many years, where she co-taught with special educators, developed project-based units of study, and implemented individualized curricula for students with a wide range of abilities. Since then she has guided new and veteran teachers in co-teaching, differentiated instruction, and art education, and has served as a content editor for multimedia outlets such as Sesame Workshop and BrainPOP.com. Zindler has served as an art editor for the Great Minds curriculum, Wit & Wisdom, and is now a title editor for the organization. She lives in Austin, Texas, with her husband and two daughters.